This is a great picture to represent the end of a an epic summer for me. 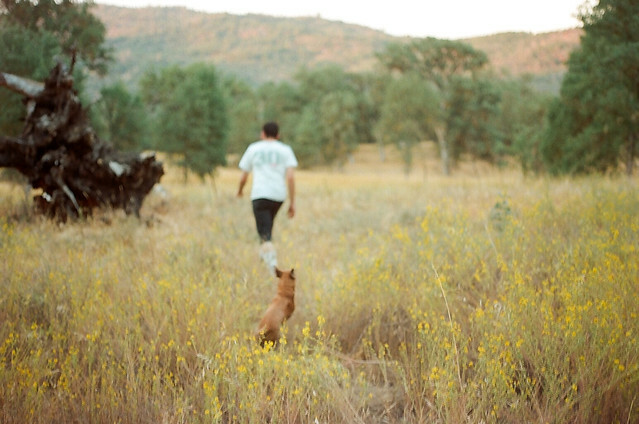 I can't explain it well; maybe it is because it is dusk and because the subject and dog are walking away from view, the fact that most of the image is out of focus, that the plants are browning, and a mess of personal reasons outside of the frame that you can't see. Posted in "35mm", "Brandon B", "California", "summer"